Do you really, really, love Christmas? You’re in luck. Melbourne has put on a huge holiday display, and you barely have to leave the CBD to get your fill. From grand trees, to brilliant lights, to great shopping and cool carols, you don’t need to have a winter wonderland to enjoy the festive season with this guide. Christmas Grinches be warned: you may find the events below far too festive for your tastes. Many of Melbourne’s iconic buildings will light up in all their Christmas finery in December, including the State Library, the Melbourne Star, the Arts Centre, the MCG and the Royal Exhibition Building. The most impressive may be the Melbourne Town Hall, which will display its Christmas Projections, set to The 12 Days of Christmas, every night from 9pm to 10:30pm until Christmas is over. The animated lighting, made specially for the building, is an amazing thing to see. 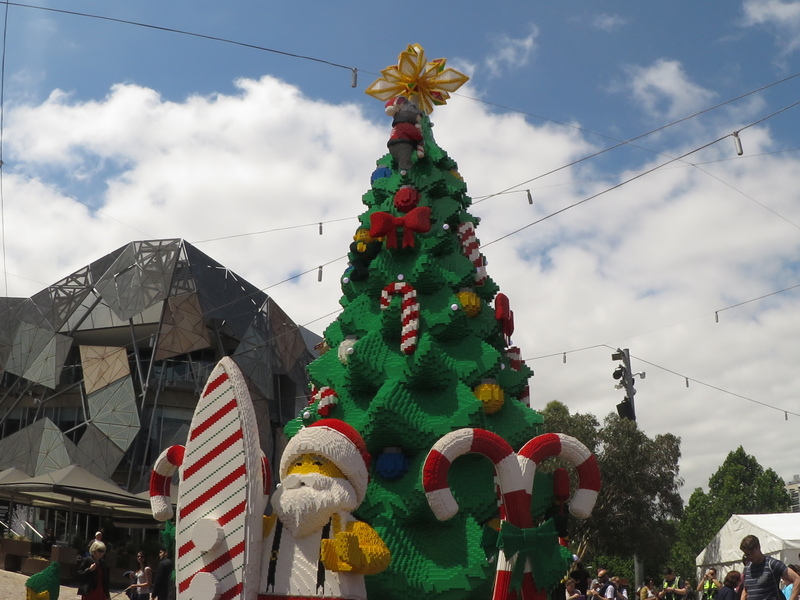 This Christmas Melbourne is hosting the largest Lego Christmas Tree in the Southern Hemisphere. The tree is taller than a two-storey house. It’s complete with particularly Australian additions, including a surfboard-wielding Lego Santa at the base and a koala and a kookaburra hanging off the tree’s highest branches. The tree is great to visit during the day, but it also looks very special lit up at night. It will be at Federation Square until December 27. The Myer department store has been celebrating Christmas with window displays for 60 years. It’s become a Melbourne tradition to line up in Bourke St Mall and watch Christmas stories and fairy tales come to life with animated puppets and moving scenes. This year, the windows are adapting an Australian children’s book, Little Dog and the Christmas Wish. The story follows a small dog lost on the streets of 1950s Melbourne, a setting covered in amazing detail by the artisans who have spent the entire year working to bring the story to life. For a quick burst of Christmas cheer, head to Southgate and the Atrium at Crown to see the Christmas Spectacular lighting and music display. Featuring animatronics, dancing fountains, and a well-utilised crystal-filled ceiling, the show plays out every half hour from 10am to midnight. The family-friendly Christmas Spectacular has been has been running for over 10 years, and this year’s display can be seen until January 3 2016. 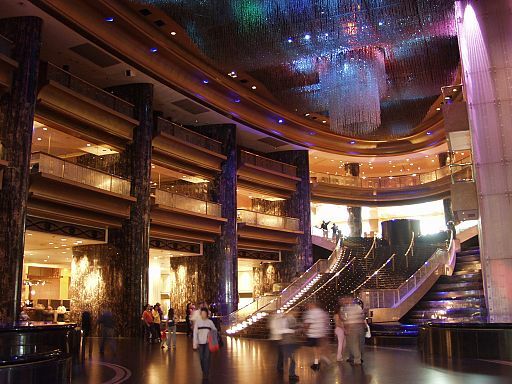 The Atrium can be found just inside the entrance closest to Queensbridge Street. 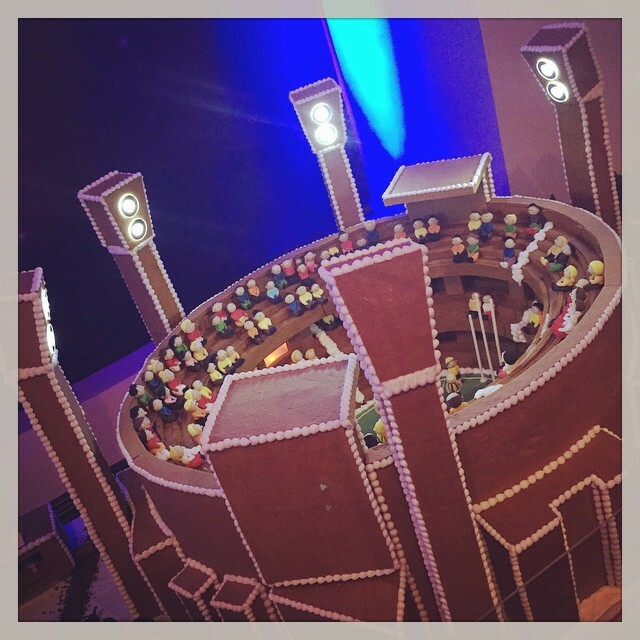 For the fifth year in a row, chefs from Epicure have created a little village made of gingerbread, full of Melbourne icons and references and with some sneaky sugared surprises. This year it features an edible Melbourne Grand Prix. 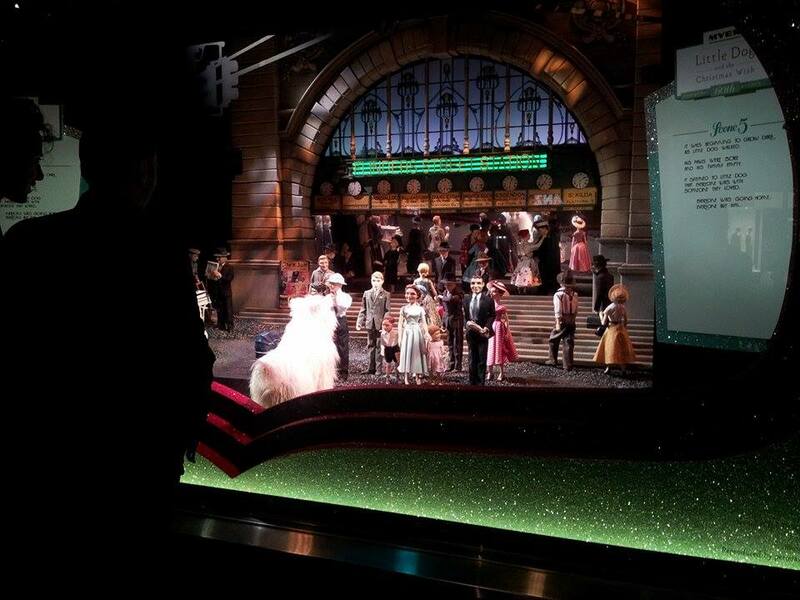 It’s open at the Melbourne Town Hall from December 1 to December 24. Entry is a gold coin donation, which goes to the Make-A-Wish Foundation. Carols always complete the holiday season. Fortunately, there are many different ways to hear them sung live around the city. The Australian Girls’ Choir will be performing carols with special guests at Christmas Square on December 18 and will wonder around Collins Street singing carols from December 21 to 23. 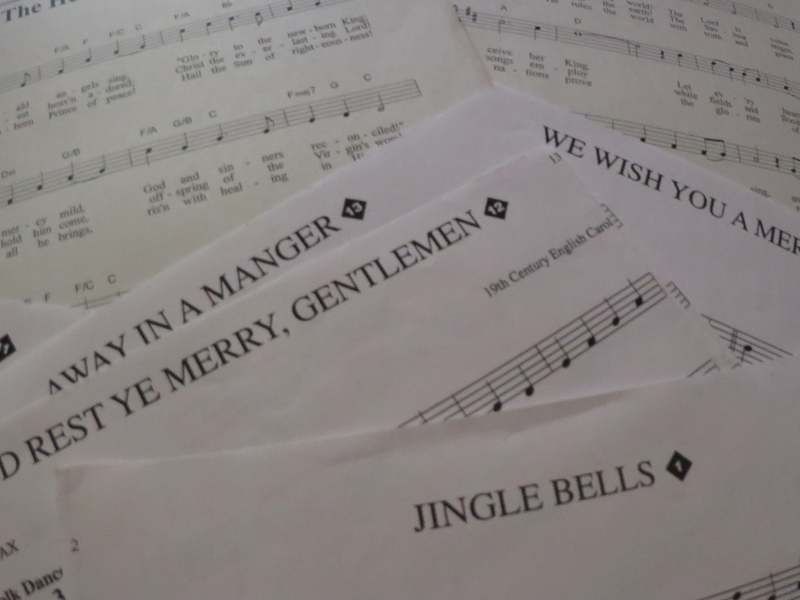 Meanwhile, the Salvation Army carollers will take to the Southgate stage every Saturday in December to sing festive songs. For music of a very different kind, head to the north bank of the Yarra River, right behind Flinders Street Station, and seek out the mysterious orange metal pyramid. The Giant Theremin is an art installation and an unusual musical instrument. It doesn’t need to be touched to be played, all it needs is movement. The Theremin responds to nearby running, dancing, jumping, or even simple arm waving with sounds, creating curious symphonies. The Giant Theremin has been reinstalled for Christmas and will disappear again at the end of January. One of the benefits of a hot Christmas is that Melbournians can appreciate the outdoors at Christmas time. 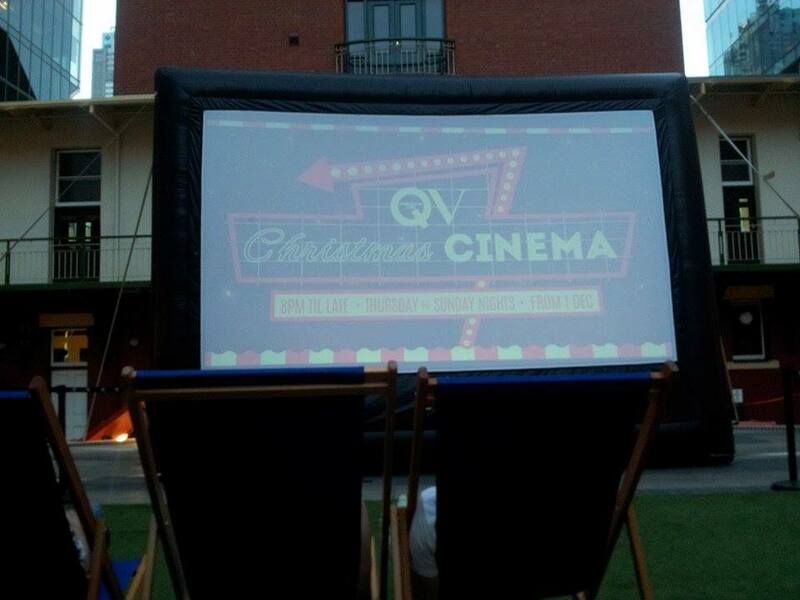 The QV shopping mall is hosting a pop-up cinema in its outdoor square all summer, and is promising themed films in the lead-up to Christmas. Each ticket holder is issued a deck chair and a personal set of headphones, so cinema-goers can chill out and won’t be distracted by the festive mayhem going on around them. 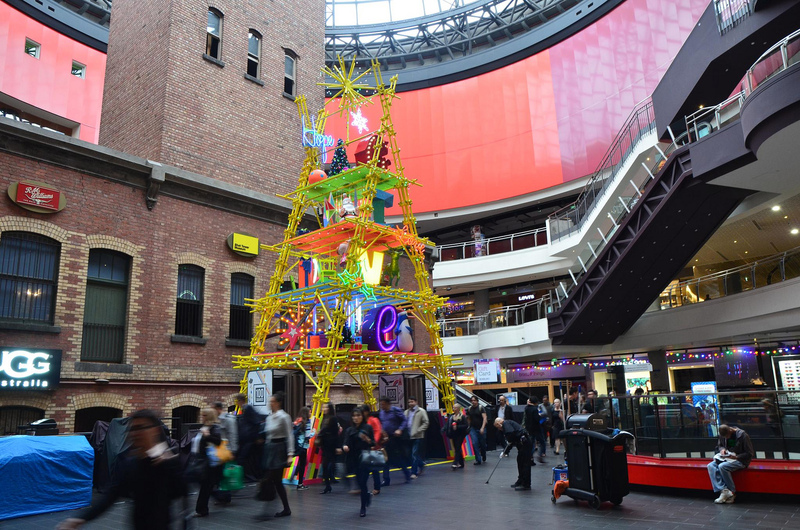 The Melbourne Central Shopping Centre is extending shopping hours and putting on events to celebrate the time of year. Workshops include Christmas present wrapping tutorials, iced tea classes, cupcake decoration and Kit Kat creation. But you don’t have to go shopping to enjoy the festivities. The iconic central cone and shot tower will be lit up in a winter-themed lighting show from 8pm to 10pm until December 23. There’s also the opportunity to create awkward Christmas photos with family and friends- terrible sweaters and ironic props are supplied. Blender Lane has a lot of character. 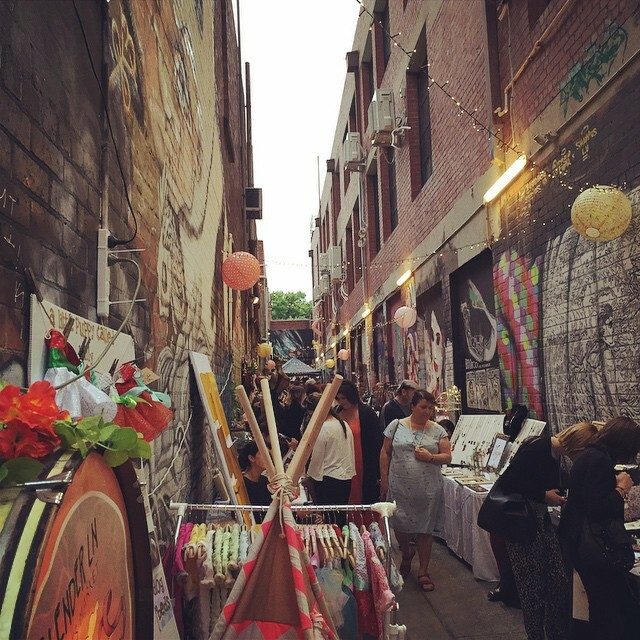 Filled with street art, it comes alive on Wednesday nights when local artists and designers set up stalls. This is another good place to get Christmas gifts that are a little different. There is also plenty of music and performance art to watch and listen to. The Blender Lane Market is open every Wednesday night except for December 23 and 30.